The bicycle today is ubiquitous. You can rent them in London for as little as £2 a day and travel all over the place. People have used them to cycle around the world in record-breaking times to others who are still going on their lifetime adventures. Should you wish to buy one you can spend a couple of hundred quid to way north of £5k, but regardless of how much it cost it can take you places. Wind the clock back 120 years or so and this new invention was affecting society in many ways. After they discarded the largely pointless hobby horse and developed the safety bicycle, this simple, efficient machine had a significant impact on the society of the day and changed the lives of everyone who swung their leg over the cross bar. When they had enough money to acquire a bike, this was the first time the working class person could travel faster than walking pace and it gave women far more independence than society was really ready for. Manners has scoured the archives, delving into newspaper report, cycling club journals and reading contemporary accounts from authors such as H.G. Wells for details on the way this machine revolutionised society. He has found loads of amazing photos to show the cyclist of the time and how even then the bike had begun to evolve. There are chapters on how it changed fashion for women, how racing in the UK went in a different direction in the UK compared to the continent. 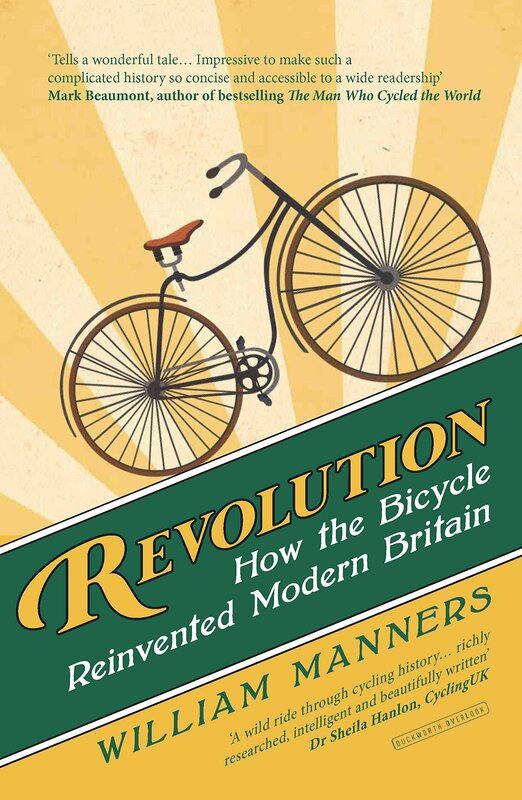 The biologist Steve Jones ranked the bicycle as the most important event in recent human evolution as it meant that people could look farther afield than their village for their lifelong companions and the chapter on the cycling clubs is a bit of a riot. 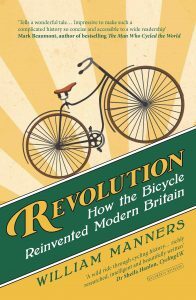 It is an enjoyable read about the revolution that the bicycle caused in the Victorian Age.